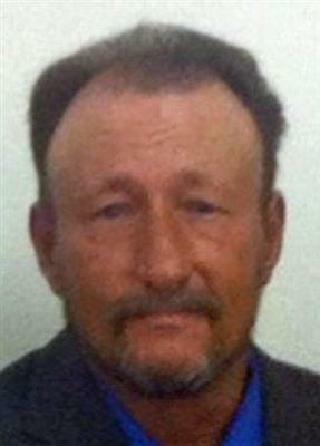 Gary Don Hicks, 54, passed away early Sunday morning, December 7, 2014 at a local medical facility. A funeral service will be held on Saturday December 13, 2014 at 12:00pm in the Ovalo Baptist Church, Marcy Grun officiating, directed by Fry~Smith Funeral Home, Tuscola. Gary was born on September 14, 1960 in Fort Worth. He was part of a private adoption; it was five hours after his birth that he went home with his parents Bud and Josie (Reid) Hicks. He was the oldest of the two children that Bud and Josie adopted. Gary grew up in the Jim Ned Valley area where he attended Jim Ned schools. When he graduated from high school, Gary stayed in the area working in the steel industry and in the oilfield. He met then married Cynthia Lopez and became a father of two children, Avel and Monica. Following in the footsteps of his parents Gary quickly adopted Avel and Monica. Gary and Cynthia settled in Winters to raise the family he so adored. Gary and Cynthia have always remained close despite no longer being married. Gary was known as a free spirit who enjoyed listening to classic rock and quizzing his kids about the artist of his favorite classic rock bands. He loved to laugh and to tease his kids so he could hear their laugh. On Friday afternoons after school he would play basketball with them and their friends. These games would run late into the night with fun for all. Most weekends Gary could be found behind the barbecue grill or smoker cooking and hosting many family gatherings at their home with both his and Cynthia's family. Gary also had a love of the outdoors which included hunting and fishing, this started in his childhood first teaching his sister then later teaching his children about the outdoors and how to respect it. Gary had a love and a passion for bowling; he was on several bowling leagues around the area. He was known as a man who would out work anyone, anywhere, and at anytime, on the farms at Moro, in the steel yards, or in the oilfield. His family remembers him for being a man that was open, honest and generous. He loved all, and always finished a talk with an, "I love you" leaving no doubt that he did. He taught his family to work hard, be loyal, and always repay a debt or a favor. Gary is survived by his children SSG Avel Don Hicks and wife Donna Hicks of Fort Bragg, North Carolina, Monica Leshea Kerrigan and husband SGT Sean Kerrigan of Fort Hood; sister Paula Josey and husband Colin Josey of Dallas; grandchildren Dominic and Addy Mae; and the mother of his children, Cynthia Hicks. He was preceded in death by his parents Bud and Josie. In lieu of flowers, the family asks for donations to be made to the Salvation Army, 1709 Butternut St., Abilene, Texas, 79602.